Another spring break finish was my Stasis Pullover, yet again a beautiful Brooklyn Tweed design. Some thoughts: despite being a very consistently even knitter and having spot on gauge, I ran out of main color yarn and had to scramble to find a skein to finish approximately 10 rows of the yoke and neck. I realized this is because, despite falling the increases to a T for the arms, they ended up measuring way too long even before blocking. I should have ripped back then, I should have. So whilst this is finished, the fit isn’t quite right. The sleeves are so long that I plan on cutting my knitting for the first time ever that I can think of, and making these sleeves shorter (which would account for my lost yardage!). I think that will help the yoke sit better on my shoulders. The one downside of this sweater is getting used to the fair isle section that sits across my shoulders. Right now, it feels kind of off. 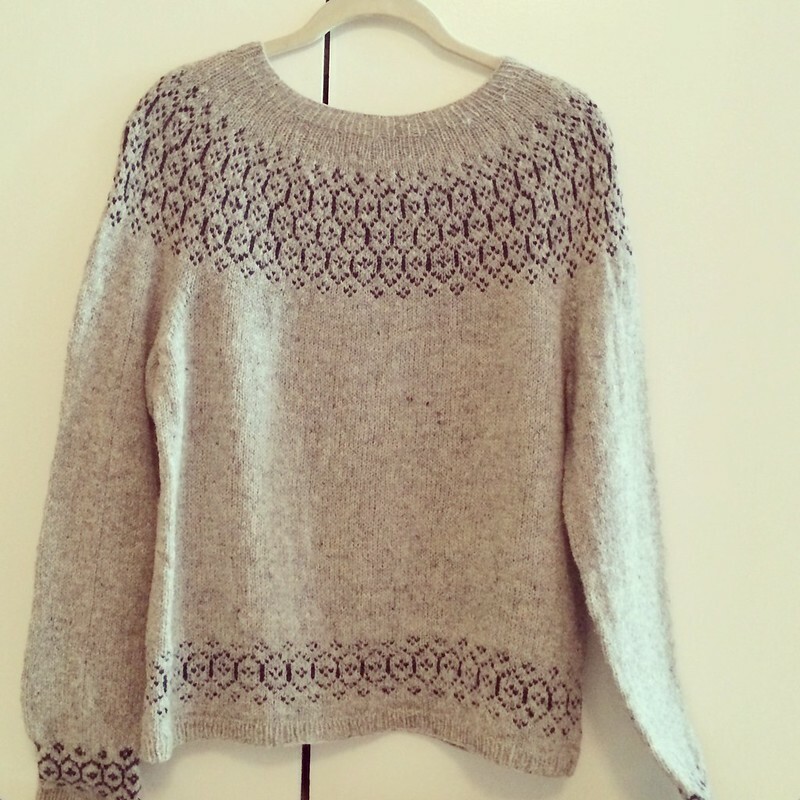 Regardless, I love the fair isle motifs of this sweater and the body feels cozy. It will be a perfect every day wear kind of sweater here in Boston so with a few adjustments, I think it will become a staple of my handmade wardrobe as well. Besides, this whole knitting endeavor I’m on, it’s a learning process, right? I get to learn a lot of about fit and intuition when knitting from my Stasis. Stasis is knit up using Brooklyn Tweed loft in the snowbound and cast iron colorways.